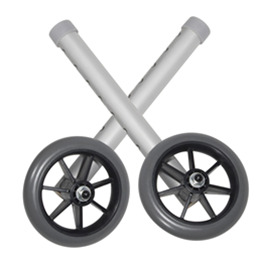 Drive's 5" universal walker wheels convert folding walkers into wheeled walkers. 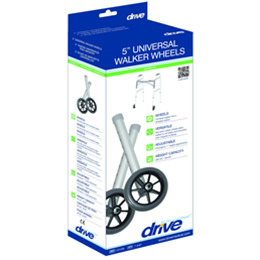 The wheels are compatible with most walkers, including all from Drive. For additional product information, including detailed pictures and descriptions of all components, further specifications, and available colors, click on the Product Detail PDF located below, under the Additional Resources tab.